DS vs. PSP was so 2005. Now it's a whole new ballgame, with Sony bringing the heat. In the battle for handheld dominance, Nintendo holds a distinct advantage over its rival, Sony. Not only does the publisher have the more recognizable brands, but it also possesses more than 30 years of experience, going back as far as the original Game Boy and Game & Watch before that. Suffice to say, Sony faces an uphill battle with its latest system, PlayStation Vita. Nintendo already released 3DS, and has an impressive lineup of games this holiday season, including a new Mario Kart. By the time Vita appears in the U.S. and Europe, 3DS could have a lead of ten million units or more. Reason to worry? Sure, but Sony still has the upper hand on the big N. Here's why. This isn't the same Nintendo from the past six years, where it seemed like every first party DS game sold upwards of ten million copies apiece. The 3DS launch didn't go as planned, forcing the company to take drastic measures to spark sales, dropping the price $80 and giving away 20 free games to current users. Now's the perfect time for Sony to swoop in and grab consumers on the fence about buying a 3DS with ads that showcase Vita's strengths. You know, like two built-in analog sticks. 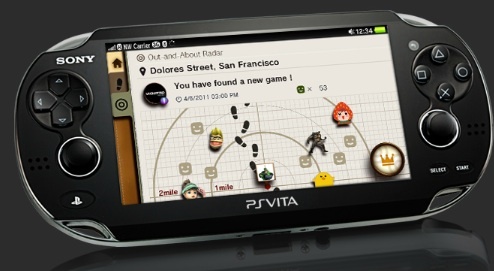 If Sony catches Nintendo while its down, Vita could be in prime position to surpass 3DS in 2012 and beyond. As we said, the 3DS launch was unimpressive, to say the least. Not only was the system too expensive, but the lack of a killer-app definitely hurt the machine's appeal. Armed with this knowledge, Sony has a chance to create the perfect launch lineup with multiple must have titles. As for Vita's $249.99 MSRP, stay tuned. Vita's glorious five-inch touch screen would make a perfect substitute for players used to iPhone or Android enabled devices. For example, there's no reason (aside from money) why Angry Birds wouldn't work on the system, or even Cut the Rope (with Vita held vertically), for that matter. There's also a chance Vita will run Android powered games, which could open the door for a whole new segment of titles moving forward. That's great news for Sony, since Android accounts for 52 percent of the U.S. smart phone market.